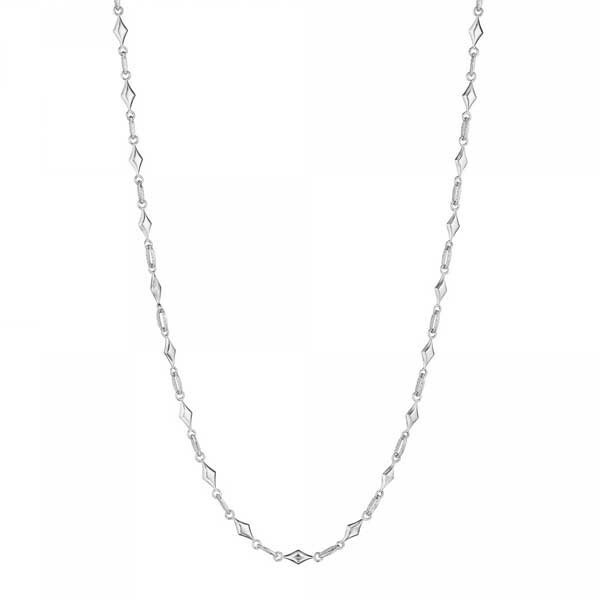 Take your fashion creativity to a new level with this trendy necklace from the Classic Rock collection by Tacori. Links of sterling silver in oval hoops with the crescent design and polished diamond shapes alternate to form this compelling piece, which makes it a unique staple. It can be worn layered or solo; you could also add a cool enhancer to change the style any time you desire. This fabulous Tacori necklace is a keeper!